Valley, Nebraska is a hidden gem of small town charm in Western Douglas County. Peacefully nestled between the Platte and Elkhorn rivers, just minutes west of Omaha. 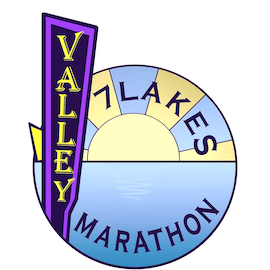 The Valley 7 Lakes Marathon was established to highlight the natural beauty of the community of Valley. In the process, we have found claim and fame as the "Flattest Closed Road Marathon in the World." Our race management staff has worked closely with civic and residential communities to ensure a one of a kind marathon, half marathon, and marathon relay. The City of Valley will open its arms to runners from all over the United States and the world, Saturday April 27, 2019. We invite you to join us and run the race of your life!